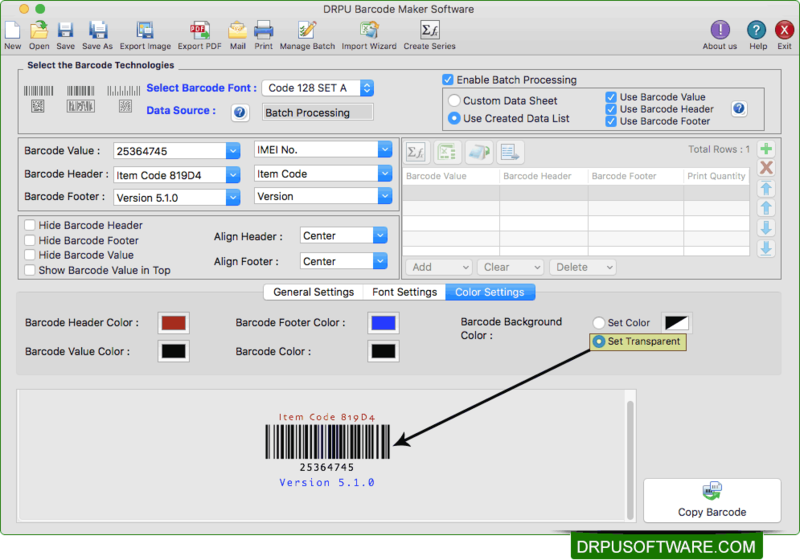 Select barcode font, barcode value, barcode header, and barcode footer. 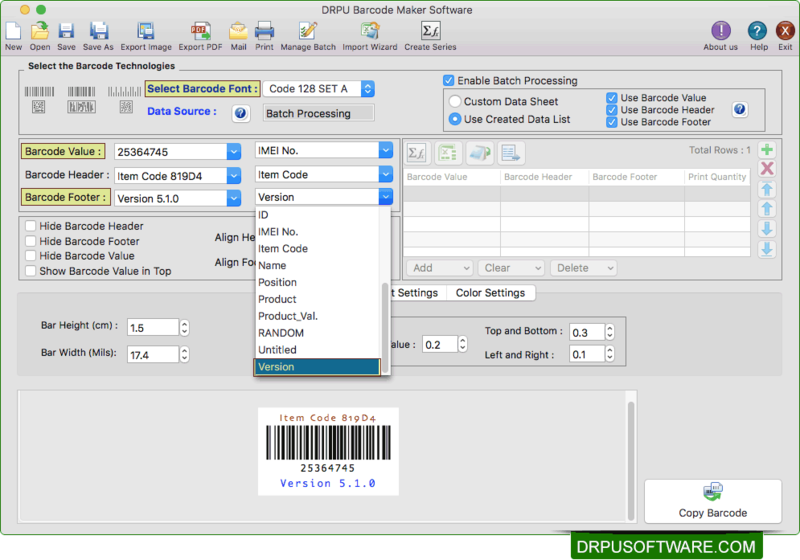 Create batch processing series for printing multiple barcode labels. 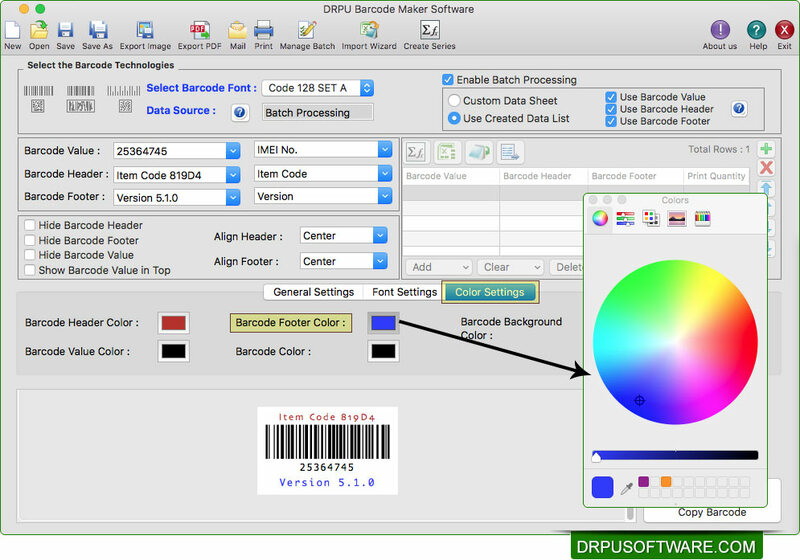 Adjust color of barcode header, barcode footer, barcode value, barcode and barcode background. You can also set barcode background as transparent by choosing 'Set Transparent' option. 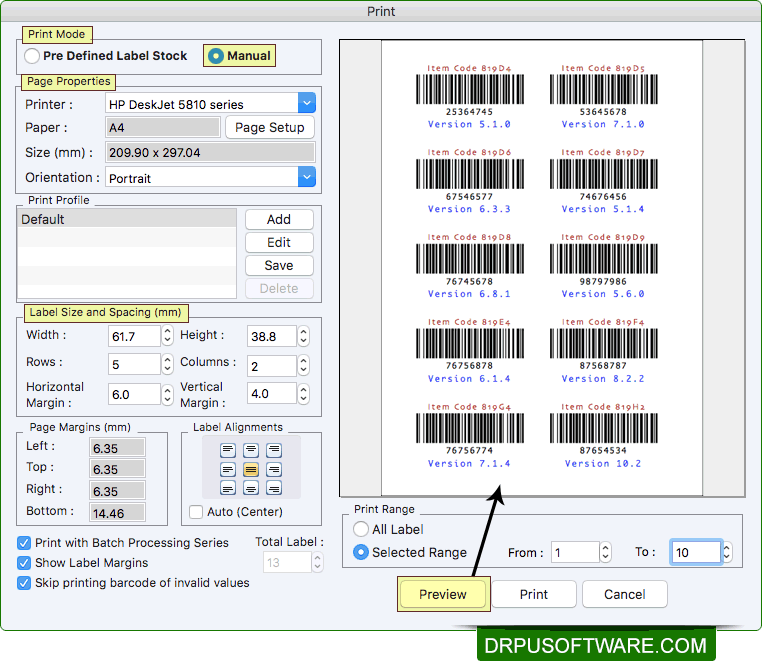 To print designed barcode labels, fill various print properties and click on Print button. Using 'Preview' option, you can see the print preview of barcode labels.